How is the use of social media contributing to digital transformations in the fabric of everyday life? Social media is everywhere and is a part of so many areas of life. This has lead to many digital transformations, these developments are constant, it will get to the point where there won’t be a generation who’s lives don’t run without the support of technology. It is estimated the 2.66 billion people around the globe are on social media and this number is constantly growing. Social media is a massive network of connection with people you know, you don’t know, friends of friends, businesses etc. This network has evolved into introducing digital transformations in everyday life, digital versions of many different things have been introduced, things that you may not even think of! Ordering food, shopping, games, dating, the list goes on and on. Digitised versions like these examples are always being thought up, invented and created. Social media itself is always digitally updating with different applications and options within them leading to the use of them becoming an everyday action. Social media is a part of everyday life. Facebook, Twitter, Instagram, Snapchat, all these platforms are designed for social media connections to put yourself into the social network. Social media itself is a digital network in which is designed for online connections. Digital because almost everything is instant. You write a post, change your profile picture or biography, it happens instantly at a click. Similar with talking online, a message delivering and replies can be practically instant. You can be informed when a post has been completed or when the message has been received etc. They are simple systems that can be utilised by such wide range of abilities and lifestyles. The transformations that can come from the different developments within social media are broad. Transformations are something that almost permanently adapts something, the old method is no longer the best. Developments from social media can come from the way messages are sent whether that be content or method, also visually and the method of communication. device developed by Amazon. Fundamentally you can speak to this device and it will do a large array of things. Like Siri, you can ask it questions and it will search the net and find the answer. In terms of the social media connection, voice recognition and recording was developed so you could tell your phone to contact someone or you could speak the text message you wanted to send. This built up to the digital stage we are at now with the Amazon Alexa which can not only set alarms, tell you the weather, make lists, contact people, play music etc; it can connect to compatible household devices, so perhaps some lights and the TV the Alexa could turn on without you having to move. Everyday jobs are minimised by this device, it can even order you a taxi or a pizza! This is really the kind of digital transformation that is gradually woven into the fabric of everyday life. It is a whole different kind of connection. This in itself is a massive technological development and greatly changes the dynamic of living. As this kind of device develops, where will we end up? Will people even leave their homes anymore? Social media is where this kind of technology stems from, it is all part of the building blocks to a new era. Historically, the human race didn’t need technology or social media to get by. Nowadays, it is an everyday necessity that has been integrated into so many aspects of life that it is now practically unavoidable. Simon Lindgren supports this in his book ‘Digital Media and Society’; ‘Digitally transformative outcomes – in the sense that digital media have changed the fabric of society – happen when social actions and practices that are carried out rely so much on digitally specific affordances that they would not be possible without them’ (Lindgren, 2017, p.295) This touches upon the fact that because we rely so heavily on technology and social media, that now if we no longer had these means of doing so, certain interactions would be simply impossible. Apple is the largest growing technological business in the world. There are constant updates in technology, Apple iPhones have so many applications and different uses! Technology went through a phase of becoming more and more compact, the tech fits in such a small device. Apple not only have iPhones. There are Macs, iPads, iPods, Apple Watches, HomePod and AirPods. There are so many variations but majority of their devices contain access to social media, which leads onto the next key device. The Apple Watch is compact device that goes way beyond just telling the time. This is a device that can connect to your phone so even when your phone is in your pocket, your watch will send you notifications and you can reply and interact with people on the watch. It’s uses included: Messaging and calling, Siri, Fitness tracking, Shopping and Apps. It also has universal compatibility, a keyboard, a camera and built in GPS and Wi-Fi. 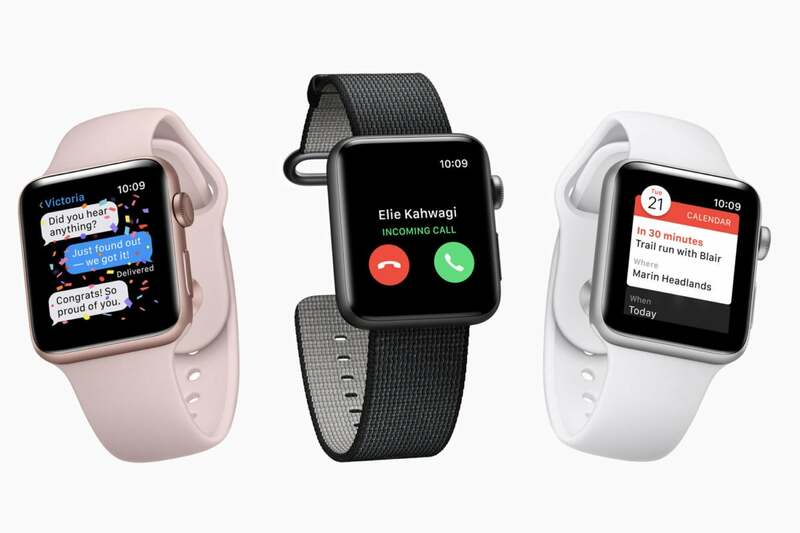 There are many videos about the new updates and versions of each apple watch both aesthetically and technologically. They are reviewed by various people that discuss what’s good about the development and what isn’t. Not only does the watch contain social media but media is created about the technological development. YouTube videos connect to thousands and thousands of people, that in itself is a form of social media. The scale of different kinds of technology in everyday life influenced by social media goes from extreme to extreme. The examples discussed so far, one can control the devices in your home and the other is physically on your person whenever you leave the house, this creates a constant connection to the web and social media not matter where you are. These devices were created due to the human need of social connection. Simon Lindgren touches upon this, that in digital society ‘people in general are increasingly networked and interconnected through the Internet’ (Lindgren, 2017 p.16) No longer is communication traditionally through face to face meetings, letters and emails but through the social network. This allows for connections that would’ve been impossible without the social media and technology. The devices that connect us on social media can be greatly influential on the actual human behaviours in everyday life, this isn’t just in reference to health issues and fluctuations that have been reported due to the use of technology, but how the human race behave due to technology. Lindgren says, ‘The media that we use will affect what we see, how we speak, and what we do. Therefore, it is impossible to talk about social and cultural change without taking into account the role of ecologies in which people are embedded’ (Lindgren, 2017, p.290) Looking into the future, perhaps there is a fear of whats to come, that humans will be ‘programmed’ as such to need technological devices and internet connection to survive the day ahead. Social media contributing to digital transformations in the fabric of everyday life could end up being a very damaging aspect to the future. On social media there is so much use of emojis and abbreviations that it gets integrated into to everyday language. Biggest abbreviation example being ‘LOL‘ and emojis wise, ‘Sad Reacts Only‘. The language of youngsters constantly changes due to social media and the rapid viral sharing of a new term/word someone has come up with. Social media has constant digital developments of its own, always new applications that allow for social connection. These platforms were mentioned earlier. Facebook is a social networking service launched by Mark Zuckerberg. It is extremely popular for messaging, posting status’, uploading pictures, sharing memes and funny videos and building a personal profile that allows you to connect with friends, family, acquaintances and businesses. Facebook is an application that can be downloaded onto almost any technological device. As mentioned in the video above, Facebook has had some difficulties, mainly with spam, fake news and privacy. There for they had to use the technology of YouTube to retain popularity and reassurance to their users. 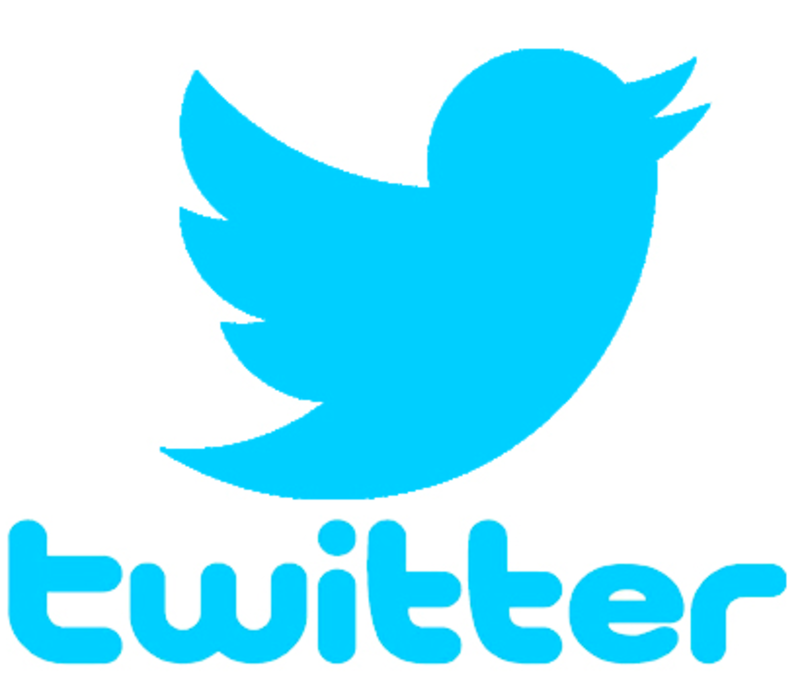 Another massively popular social networking sight is Twitter. Where, as you can see from the link a lot of ‘drama’ takes place. Twitter has so many users from the public, big time celebrities and politicians. Twitter is a text based sight, which is well known for its word restriction, sharing of feelings and drama between celebs. Twitter has become more and more news based, whether this be new headlines or even bus companies letting riders know the bus is delayed. This social media makes it to TV news, Twitter feuds are a big gossip talking point. Primarily Donald Trump! Twitter attracts controversy and therefore creates digital entertainment that can be shared on all sorts of digital platforms that are consumed by users on their technological devices. Opposite to a text based social media site, is Instagram which is extremely image based. Instagram is actually owned by Facebook Inc, which attracts the more visually creative. This app allows users to share any photos whether they be a photographer or like to share images of what they’ve been up to. A caption can be added and the post can be shared on other platforms such as Facebook and Twitter. The chosen photos can be edited using many different filters and settings provided. Instagram revolves around followers and how many likes you get. From this vloggers on YouTube create videos on how to get more and tips and tricks of Instagram, largely to do with hash tagging. Hashtags are predominantly utilised on Twitter and Instagram, they connect posts that contain content along the same subject, these hashtags can sometimes go viral, for example if a major plot twist happened on a programme and you posted about it, for example ‘#GameofThrones‘ clicking on this would show all other posts relating. The final social media network to be discussed is Snapchat due to its digital contribution to everyday life. Snapchat is a multimedia messaging and picture application. The image or video can be sent to the users daily “story” which disappears after 24 hours or to friends personally who you are connected with on the app. The technology and popularity of snapchat is always growing such as being able to send pictures with no time limit as to when they disappear and being able to record without having to hold the record button down for the whole video. This is a great example of social media influencing everyday life as people constantly snap-chatting what they are up to, where they are, what they’re eating etc. Things in life may not be completely and fully enjoyed as they were before due to the concentration of capturing it on video to send to friends. However, being able to capture such moments could influence people to do more activities and see people to be able to share that on their internet profile, whether that be Snapchat, Instagram, Facebook or Twitter. Above are just some of the ways the use of social media is contributing to digital transformations in the fabric of everyday life. Whether that be within the social medias themselves or brand new developments that have been influenced by social media in some way. What’s more is that the social media and digital transformation are all connected in some sort of way. The future technological developments may recline due to expense perhaps but could excel way beyond our imaginations. Ask yourself what you use in everyday life and perhaps how many times a week or even a day you utilise it. Soon there will be no generation that knew life without technology, a time where children were given a doll to play with rather than an iPad, a time where there wasn’t an option to see the person you are calling in real time and a time where you had no other choice but to leave the house for food shops and clothes. The way humans act in everyday life is almost defined by the interaction on social media and the digital transformations. Lindgren, S. (2017) Digital Media & Society. London, Thousand Oaks, New Delhi, Singapore: Sage. The creation of my perfect imaginary bedroom! Hope you’re having a moderately adequate day, if not better? This blog post will contain the imaginative task of ‘Create Your Own Room‘. Using Pinterest I went to search for different rooms, furniture and colours in order to create my dream room. I decided I would create a bedroom, my taste has definitely changed. When I was very very young I wanted my room hot pink with a disney princess border! I had this along with a high bed and Doctor Who bed sheets…interesting combination my young self. I began to search on Pinterest and create my current dream bedroom! To start I went searching for a wallpaper. I decided on this one as I really like the pattern, reminds me of nature which seems quite peaceful, perfect for a bedroom setting. Furthermore, there is a kind of metallic, slightly shiny effect which I find interesting and ‘outside the box’. The grey background goes really well, it being neutral brings attention to the pattern and doesn’t make it overwhelming. As for the bed, this would take a couple of searches to get the design and then separately choose the sheets. With this I love the wooden frame/posts around the bed, I am a massive fan of history and this has an old fashioned feel to it with a modern twist. The fairy lights above are really pretty, fairy lights are great for making a room cosy and cute, I use them in my bedroom currently and it can make a real difference. As for the bed sheets, surprisingly I really like a floral pattern, it has to be cotton and most importantly has to be cosy. I am not too bothered about like a running theme when it comes to colour and design, although what I have chosen so far would combine really well in my opinion. As for the carpet, I would want a very basic carpet for the whole room and then had this on the top somewhere in the centre and near the bed. It looks very eccentric and interesting and again has an old fashioned look to it. Simply adding a carpet can be amazing for adding some extra character to a room. It also looks quite vintage, I wouldn’t want everything in the room to be ‘mainstream’ adding a few things that no one else haves to make it unique. Additionally, to many a girls the wardrobe is a very important part to the bedroom. This is again quite an old fashioned looking wardrobe, there does actually seem to be a theme occurring! The white wouldn’t clash with anything and would fit really well as another addition to my dream room. It is bold but not too overwhelming. The long mirrors would also look great and be very useful. A long mirror is essential to me. Along with the fairy lights, there would need to be a main light. This kind of light is something I have always wanted and would be in my dream room without a doubt! It would 100% fit with my theme that has been happening. Furthermore I am a massive fan of ‘Phantom of the Opera‘. Not a random comment I promise. There is a chandelier in Phantom as a very important part to the musical so would have a little extra meaning to me. The final main addition to my dream room, is simply a chair where I can sit and do my university work. When I saw this chair, it fits my decor, it has a foot stool so I can put my feet up and looks really comfy! I would change the cushions on it for sure but apart from that it is perfect. When I first began this, I didn’t think it would go in the direction it did. It appears I would want an old fashioned twist on my dream and it actually seems quite girly which surprises me! I rarely surprise myself but doing this has. I highly recommend giving this a go, there are so many different styles on Pinterest! Now this blog consists of mashing 2 actors into a setting, it’s specifically called ‘Photo Mash‘. This really appealed to me, I am a massive fan of all sorts of TV and Film. If you read my blog posts regularly, this is something you already know! If you don’t, then yes I am a bit of nerd when it comes to some TV programmes and films, guilty is charged! I think it is very important to have a hobby or something you are passionate about. Most people think this has to be an activity, obviously it is great to have an active hobby! I love performing in musical theatre and I used to play Tennis many years ago. However, I enjoy to have something surreal I can escape into, that inspires imagination and get engrossed in. I’d say there are quite a few programmes I feel this way about, some being Game Of Thrones, Harry Potter, The Walking Dead, The Vampire Diaries, Doctor Who and Peaky Blinders. That’s not even all them! Due to this, it was difficult to choose just 2 actors for this photo mash, but I had to be decisive! Being decisive isn’t one of my strong points. I eventually came to the decision that I would combine ‘Jon Snow’ from Game Of Thrones and ‘The Doctor’ from Doctor Who into the same setting. Jon Snow is my favourite character in Game Of Thrones, if you click on his name there is a lot more information about his background and who he is. The Doctor is the main character in Doctor Who, the particular doctor I have chosen is the 10th Doctor, again the link explains the background about who and what he is. I actually really enjoyed making this, it made me laugh. I aimed to make a very unlikely and odd scenario. As you can see Jon Snow is in a massive fur coat, this is because he protects a place called ‘The Wall’ where it is bitterly cold. I was very tempted to add speech bubbles saying how he definitely wasn’t dressed for the weather! As for The Doctor, he could end up anywhere in his Tardis! If you don’t know what this means, then you need to go watch some Doctor Who. It would be an interesting thing if Game Of Thrones and Doctor Who came together. As for the beach, in previous blogs I have spoken about how much I love the beach! There is actually an episode of Doctor Who where The Doctor is on a beach, but nowhere near as exotic as the one I have chosen in this Photo Mash. I made the mashup in Photoshop. I have used the software before, using something I knew was useful for creating this. I had to work with each image separately. The image of The Doctor was already bright and fitted with the bright beach setting well, so it was just a matter of cutting him out of the previous background. However, Jon Snow was originally in a dark and cold setting so putting that straight into the mashup wouldn’t have looked correct. Therefore, I increased the brightness and vibrance bringing more colour and light fitting with the beach setting. I positioned them that The Doctor was behind Jon on the beach. This worked with my chosen images of the actors. The names of the actual actors are Kit Harrington as Jon Snow, and David Tennant as The Doctor. Probably two of my favourite actors! I actually really enjoyed combining two programmes I love so much! Animating my favourite music artist in GIF form. This blog post will consist of the animated GIF assignment of “Favourite Musician GIF“, this involves choosing my favourite musician and animating them in GIF format. I thought for a while as to what musician I would choose. I picked Jessie J as I was a fan of hers for many years and still am! I saw in live in Nottingham and she was absolutely amazing so it became logical to me that I would make a GIF of her. This is a photo I took of her in 2013 at the Motorpoint Arena. As you can see we got quite close!! When I say ‘we’, I mean me and my sister; I got tickets to see Jessie J for my 15th birthday and wanted my big sis to come with me. It was the first concert I had ever been to. I listened to her music all the time, my friends bought me pictures of her for my room and signed merchandise! This was obviously a long time ago, I fan girl over things like Game of Thrones and Peaky Blinders now. However, I am still a massive fan of Jessie J as she is genuinely extremely talented singer! It was then choosing a video that I would covert into a GIF. I decided I wouldn’t pick a video that was overly well known and show Jessie J as people may not have seen her before. GIF’s tend to have content that is relatable. Which is why I chose the caption “When your friends tell you to sing and you’re like “no no”, then…”. This happens a lot in my flat as one of my flat mates is the chair of the DMU Acapella and I’m quite musical myself. Also, Jessie J is singing really passionately and happily in this clip. To make the GIF, I had to search for a video I wanted to convert. In this particular video, she is actually doing a cover of “Rock With You” by Michael Jackson. Jessie J has lots of songs with music videos, and I could’ve chosen them but I wanted to make a GIF of her in a slightly different setting and more natural. Therefore the GIF becomes more relatable. After I had got the video, I put it into a website called ‘GIPHY‘. This isn’t a site I have used before but was perfect for what I wanted to do. It gave options of timing, filters, text, colour, effects and positioning. Try making one if you wish! There’s lots of choice and freedom to create exactly what you desire. I shall probably make another one now! A postcard made from the heart. This blog post will consist of the assignment “Destination Post Card“, this involves choosing a location, using an image and adding text. I immediately knew I wanted to create a postcard for Suffolk. Although it would be more conventional to find a picture of somewhere hot and exotic for this postcard task, I thought I would choose my favourite place for a holiday! This actually relates to a previous blog post- “Close your eyes…and go to your place of peace…“. I love that I can link these and go into more detail! This is a destination that has a place in my heart that I will always visit. Dunwich Heath is a beautiful place to go in Suffolk! It has an amazing walk full of nature. There are all sorts of wildlife and plants that are so vibrant and the sights are striking. It is a National Trust sight so is cared for. There is a beach nearby which you can link to the walk adding to the views. On sight there is also a café and national trust shop which are always lovely. Choosing this destination for the postcard was a no brainer for me. I created my destination postcard on Photoshop, this is a software I am familiar with and knew I could create what I wanted with it. The photograph used is actually one I took myself which really captures the vibrancy of the destination. With postcards I find that they contain the best parts of a particular destination which show friends and family what they are enjoying. I simply added my chosen photo into photoshop and added some text, postcards aren’t something to be cluttered as the focus should be the photo and of course the writing on the back. So I made some font and colour choices that compliment each other and the image. I really enjoyed making the destination postcard, maybe I should get it printed? Join my shoes on a mini adventure! This is the video assignment for DS106. This assignment is called ‘Where Do Your Shoes Take You?‘, this involved creating a video of my shoes and see where I ended up. I thought I would do a video of my shoes around Leicester at first. However I thought it would be slightly more interesting to do the filming in my home village where it is quite rural and different to Leicester. I reguarly go on walks with my Dad around the village when I’m home, so I thought I would capture this as my “where do your shoes take you” video. Believe it or not I even considered the shoes I would wear for this filming! Attention to detail right!? For this video I wore my favourite shoes which are my Doc Martens. They are the best shoes I have ever owned, so having them as the main focus of my video was great. If you haven’t got some, I advise you to invest!! I made this video using a new app called “Filmmaker Pro“, I could’ve used a software or app that I am very familiar with but I decided I would mix things up a bit and learn something new. I used various tools like adding text, editing the timing of the video (making the end slow motion in time with the music), and using fader/transitions for the text. The app has added a watermark to the bottom right corner which doesn’t bother me much, it gives it more of a casual effect rather than a professional video. However, if I was to do this video again I would have done things differently. I love trying something new that I don’t know, however, with the footage going through the app and then Youtube I believe it has been compressed so the quality isn’t as good. I found that the text could be occasionally difficult to read once it had gone through the softwares. I enjoyed making the video, especially adding the theme from “Pirates of the Caribbean” underneath because it is wonderfully random and dramatic. I found that it actually complimented the visual quite well! Is the Greatest Showman still great when the soundtrack is reversed? This blog post will consist of the Audio Assignment called “Reverse It“. This involved taking the soundtrack from a musical and simply reversing it. The idea was, would the musical still make sense if it was all backwards? I chose to reverse the soundtrack of ‘The Greatest Showman‘. It was released in UK cinemas on 26th December 2017, the story was inspired by P.T Barnum who founded the first circus which became a worldwide sensation! The film became extremely popular and some of the songs even made it into the chart. I went to watch it the cinema very soon after it came out and I absolutely fell in love with it! It’s such a feel good, inspiring and mesmerising musical. After I watched it I practically had the soundtrack on repeat and still do! I chose to do this musical as every single song is amazing. I adore musicals, I’ve performed in them since I was 8. I could’ve picked a classic, which I did consider! I thought of reversing ‘Les Miserables‘, ‘The Phantom of the Opera‘, ‘Sweeney Todd‘ or ‘Rent‘, all amazing musicals which are definitely in my top favourite musicals! They all have amazing soundtracks and stories, however I wanted to work with something fresh and new. Below is my ‘REVERSE IT’ Audio! I made this in ‘Adobe Audition’ which is a software I am very familiar with. I made it in a multi-track slightly layering the songs. I added faders so the songs switched gradually into each other. I then exported the audio in ‘WAV’ format and uploaded the track to Soundcloud. In terms of the soundtrack still making sense backwards, the musical itself starts and end with the same song so I thought it would work rather well which it did. The development of the story is of course different as it is backwards, but it didn’t sound completely topsy turvy! I hope you enjoyed my reversed Soundtrack and if you haven’t seen the film, I highly recommend that you do!! This blog post will consist of the beginning of Unit 5. The assignment I chose to begin with was “Places of Peace“, this involved creating a collage of my favourite spots where I feel relaxed or at peace and where I definitely felt better than moderately adequate! I didn’t find this terribly difficult to think of the places I’ve felt most happy and relaxed and content with life. This is partly because I am very family orientated so have had happy experiences with them both at home and on holidays. Therefore it was an almost immediate connection to peace. Home I thought was quite an obvious one so I’ve included other pictures in the collage, but home is a place I do feel relaxed; I would hope that would be the case for most people! Peace can mean different things to different people, an official definition from The Free Dictionary is “freedom from disturbance; tranquility:” which is similar to how I imagine peace, there is also “To maintain or observe law and order:” which I agree with but not what I picture for this blog. Majority of the photos in the collage are from a holiday because lets face it holidays are the best time to be relaxed and at peace! 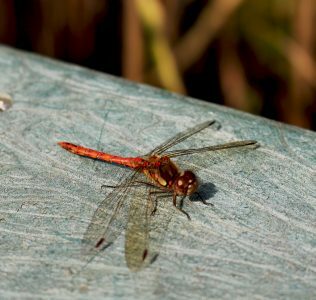 3 of the photos are from particular places in Suffolk where I have been really relaxed. The first is by the lighthouse in Southwold where me and my family went for a late night walk after sitting outside a local pub by the lighthouse, and later on we went for a walk along the pier and there were practically no people on it so it was very peaceful! If you’re wondering ‘Why Southwold?’, we have been going there as a family since I was very young so is a place of happy and fond memories and as soon as we arrive we all get the holiday feeling. I love going to the place where I have childhood memories and still making memories now. Holidays are a time of ‘relaxation’ and to escape from everyday life which might be work, school or general things which may cause stress. You might have a particular place where you feel peace. For me there are many reasons as to why Southwold is the ideal destination. The other larger photo in the collage is a photo I took of Dunwich Heath which as you can see from the photo is absolutely beautiful and has extremely vibrant colours, especially the purples. There is lots of wildlife and is lovely walk! The photo next to that is a picture of the beach near Sizewell in Suffolk, if you look closely you can see the Sizewell Dome! I have some lovely family memories on Suffolk beaches of relaxed days so all of these really fit the criteria in my head of being at peace. The top left image is a photo from when I visited the Gullfoss Waterfall in Iceland, it was so striking and beautiful. My whole trip in Iceland I would describe as adventurous, peaceful and amazing! It is so natural and going there made me realise how beautiful the world is. The final photo is actually from when I was in Les Miserables at the theatre. The theatre is probably one of my favourite places to be whether is be on stage or in the audience. Although being in a musical is nerve racking, it is something I loved to do especially playing my dream role! However, I would say I feel more relaxed in an audience of course! I made this collage using a software called ‘Layout‘ which is an app connected to Instagram. I then decided on the places I found most peaceful and edited them together as I pleased. It is a software I am familiar with using and aided me to create a visual representation of what was in my head. I added some subtle filters to the photos included to increase the impact of colour and contrast. The choice of layout and size of photo mostly came naturally, I moved them around a bit when creating the collage. The two larger ones and the smaller one at the bottom are images I captured from Southwold which is what I focus on in this blog the most. I hope you found this insight into my places of peace interesting! This daily create is the ‘Accidentally Type the Wrong Thing in Image Search and End Up Not Disappointed‘. Typing the wrong thing is a very easy mistake to make. I meant to type into google image search ‘gold fish’, instead I accidentally typed ‘fold fish’. This resulted in a load of images of origami fish!! Of course I engineered this typo as I have no idea why I would be searching ‘gold fish’ on google! At least I now know how to fold my way to creating an origami fish, one of the many skills required in life. This daily create is the ‘A New Pledge‘ task. The task was to suggest an alternative to the (US) “Pledge of Allegiance” as a way for school kids to start each day. I tried to throwback my brain back to primary school and remember the things us school kids would do. Some pledges i’ve heard are rather extreme in my opinion, so I thought I would come up with one that is quite lighthearted. Thinking back to school, this is something we would all do! Guarantee we are all guilty of it. Personally I wasn’t the biggest fan of primary school at all, lunch and home time were always my favourite times of the day unless the class involved role play, art or history. These subjects may different for you but there must be a class each person has been in where you watch the clock and wait for lunch or home time. This almost feels like a confession!! I found this daily create quite humorous, think of pledge yourself that you would use as an alternative for school kids.